Astora LED lighting kits are now available to buy in the UK from specialist distributor InfinityX. InfinityX is a UK distribution company who set up earlier this year to introduce specially selected high-quality brands and products into the UK photo, video and extreme/sports markets and Astora are just one of the many brands they are now bringing to the UK market. The Astora lights are available in three different models - Wide Panel, Soft Panel and Spot Panel - of which, more information is available on below. As with all Astora lights, it is one of the brightest LEDs in its size-class, combining a compact form factor and 50° beam angle, with an output of up to 7381 lux@1m. Available in pure daylight (WS 840D) and Bi-colour (WS 840B) versions, users can choose between maximum brightness at pure daylight or ultimate flexibility with the ability to match ambient colour temperatures quickly and accurately with the Bi-colour version. 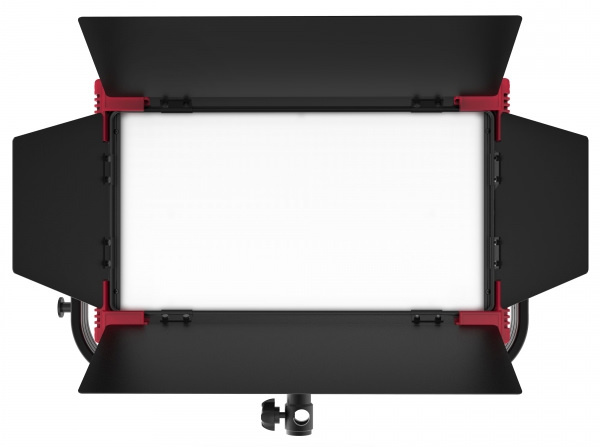 With its built-in NP-F battery plate, the Astora Wide Panel can be powered by NP-F type batteries. 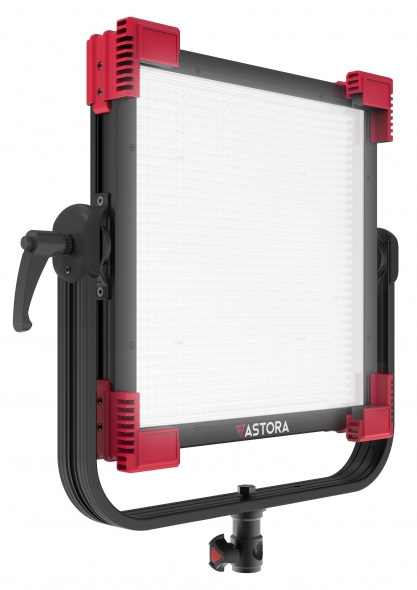 The Astora Spot Panel boasts a 30° beam angle and offers even more brightness than the WS model with (up to) 16629 lux@1m so that users will have plenty of power to bounce or diffuse light, light from a distance or even in bright sunlight. 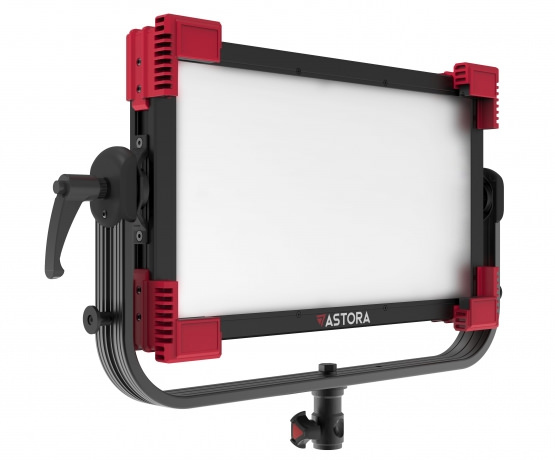 With power consumption below 86,4W, the Astora Spot Panel can be powered with any normal V-Mount battery and is not restricted to expensive high-current V-Mount batteries. The Astora soft panel series gives a wide 120° beam angle and houses a fixed diffusor, creating a soft, scattered light which wraps perfectly around its subject. 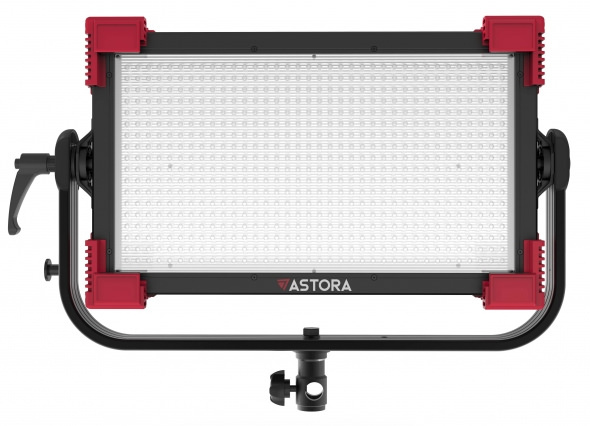 Providing (up to) 13000 lumens, the Astora Soft Panel series is a soft-yet-bright light source that mimics the effect of a softbox, keeping a compact and thin form factor. In addition to the built-in wireless control, the Astora Soft Panel series also boasts DMX 512 built-in, so it can be easily integrated into any existing environment via industry standard XLR connections. Available in three sizes, you can choose from maximum portability to the largest aperture. For more information, visit the InfinityX website.